(Macao, May 29, 2018) – Luxury multibrand retailer Antonia in collaboration with Hypebeast and Shoppes at Parisian hosted an exclusive party at the Antonia store on Saturday, May 26, 2018 to showcase their latest limited edition collaborations with Diadora, Kappa and Khrisjoy to a select group of guests from Hong Kong, Korea, Japan and Macao. Originating from Milan, Italy, Antonia opened its first store outside Italy in partnership with Modern Avenue Group in September 2016 at Shoppes at Parisian, The Parisian Macao. Hypebeast is THE online destination for contemporary fashion and streetwear and leads the way with current trends in footwear and music, while Antonia showcases top designer clothing from brands including Valentino, Off White and Gucci, along with accessories for men and women including a unique and inventive mix of limited edition projects. 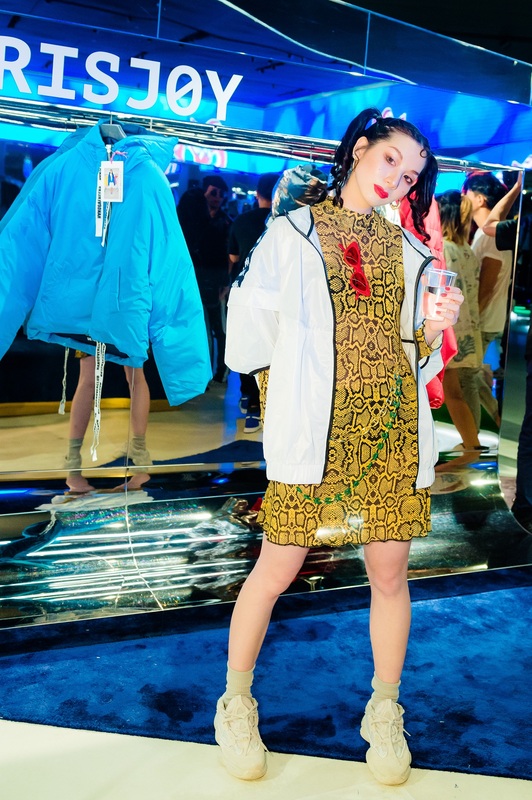 Guests at the exclusive event included Taiwanese model and stylist Stars Xu, Korean fashion designer Bajowoo, model Gu Yi Wei, Korean instagram star KB Lee, model Ellie Furuya, Pony Pong, Suki Wong, Theresa Wu and live performances by KOHH, a popular and influential Japanese hip-hop recording artist and DJ Yeti Out. Visit the Antonia store at Shop 300, Level 3 and Shop 500, Level 5, Shoppes at Parisian, The Parisian Macao and follow Hypebeast on Instagram @hypebeast. Photo caption: Hong Kong actress, model and television presenter Elva Ni. Photo caption: Taiwanese model and stylist Stars Xu. 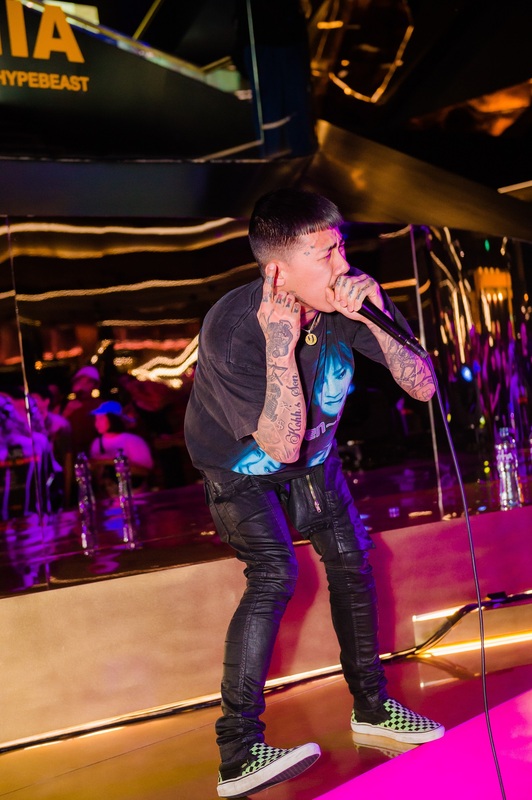 Photo caption: Japanese Hip Hop Artist KOHH performing at the Hypebeast / Antonia fashion event. Shoppes at Parisian is like no other, bringing the delights and charms of one of the world’s favourite travel destinations to Asia. Set against a backdrop of iconic Parisian landmarks, including a half-size authentic recreation of the Eiffel Tower; visitors to Shoppes at Parisian can stroll down boulevards named after many of Paris’ famous shopping locations, such as Avenue des Champs-Élysées, to enjoy shopping at over 170 creative luxury and lifestyle brands. Among an amazing range of renowned Parisian brands, there are also many brands new to Macao, including Antonia, Sonia Rykiel, Temptation, Isabel Marant, MCQ, Sinequanone, Repetto, Carven, Zadig & Voltaire, MSGM, Garel Paris, IRO, Phase 8, Bora Aksu, Djula, Point de Vue, Germain, Debucci, Herzo, Lancaster Paris, Jean Rousseau and Isabelle Langlois. When it’s time to relax, visitors can enjoy the tempting aromas of French and international sidewalk cafés, pâtisseries and bistros. Shoppes at Parisian is designed to appeal to a young demographic looking for cutting-edge fashion. With more than 300,000 square feet of retail space in Shoppes at Parisian alone, guests can experience a total of over 850 shops at Sands Shoppes, all connected by a covered walkway. For more information, please visit www.parisianmacao.com/macau-shopping.html.